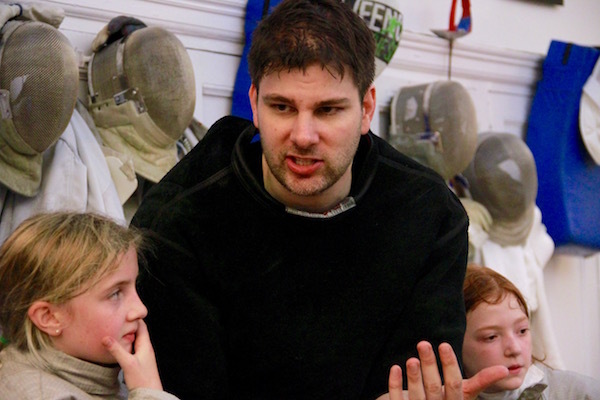 Tim Morehouse Fencing Club teaches the Olympic sport of fencing — with classes, lessons and camps for competitors of all ages and ability levels in saber, epee and foil. Spend an incredible 8 days of elite training with the TMFC and Cornell University coaches. Tim Morehouse Fencing Club Youth Summer Camps begin Monday, June 17, 2019 and run throughout the summer for ages 6-12 at both our Manhattan and Westchester Locations. Why Tim Morehouse Fencing Club? The coaches at Tim Morehouse Fencing Club, led by Olympic Silver Medalist Tim Morehouse, work hard to create a safe, fun, inclusive, and focused environment for learners of all abilities. In addition, TMFC is one of the fastest rising fencing clubs in the country. After our first year of operation, National Fencing Club Rankings calculated that Tim Morehouse Fencing Club ranks 10th in the nation for the most youth saber medals awarded and 5th in the nation for the most youth boys saber medals awarded during the 2015-2016 season. The same site also concluded that Tim Morehouse Fencing Club is the best youth women's saber club in the state of New York. Fencing may be the world's best youth sport because it challenges competitors' brains as strenuously as their bodies. While fencers benefit from strength and speed, they also need strategy, quick thinking abilities, and determination to overcome their opponents. The sport also offers a unique mix of camaraderie and self-reliance. Fencers train with teammates who work together to help each other improve. But when fencers compete, they win or lose by their own actions and choices. Tim Morehouse Fencing Club offers classes for fencers of all levels — from just starting to Olympic hopefuls. Youth Champions: Teach the fundamentals of saber for students ages 7-12. Junior/Senior Elite: Serve students who regularly compete at regional and national events. Adult Novice: offer busy professionals an opportunity to learn a new hobby and compete! Musketeers: teach children ages 4-6 how to gain better control over their bodies and minds through fencing.